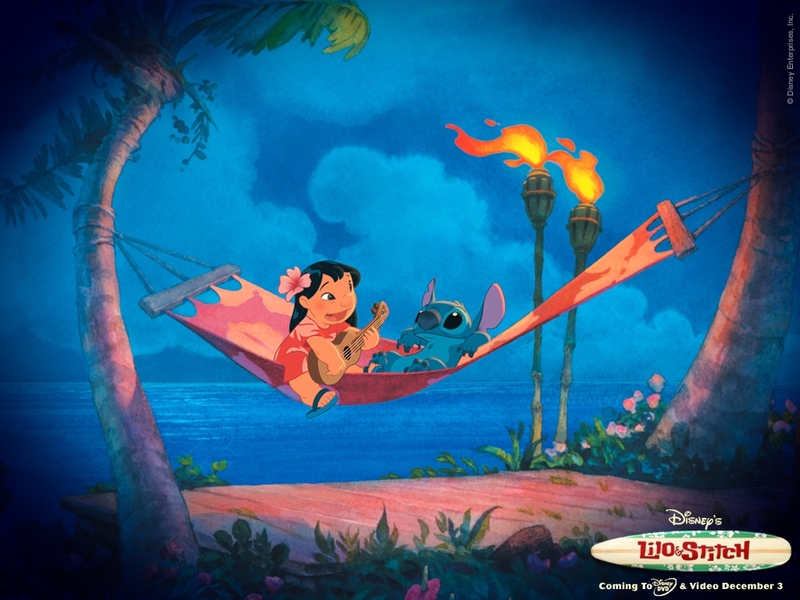 Lilo & Stitch is by far my favorite Disney animated movie. It's the story of a strange little outcast girl, Lilo, living in Hawaii with her sister and her best friend, an intergalactic criminal and alien named Stitch. In the film, the small ragtag family must take on bullies, former CIA agents and Galactic Federation agents in order to remain together. The movie is definitely not one of Disney's more popular ones, what with it's complete lack of princesses and mostly Elivs Presley soundtrack, so it's rare to stumble across pop culture references. I agree that is the cutest ever ! 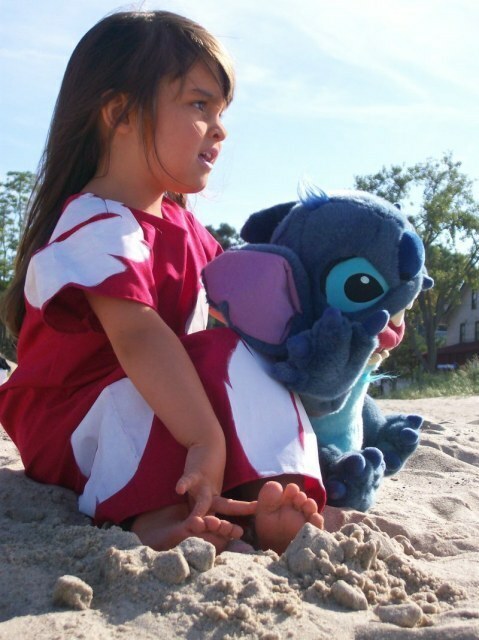 I wish I had dress my daughters up like that when they were smaller, they both love Stitch and Lilo. Thanks for sharing that, it brought happy memories.